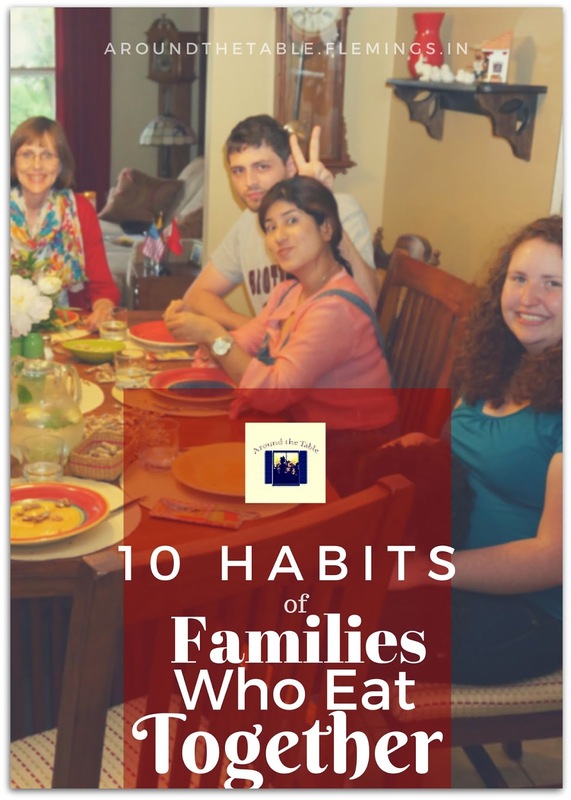 How do families that eat together often, maybe every night, manage it? In our society it seems like that's an impossibility. Everyone has a busy schedule, including the kids, so what makes family mealtimes happen? 1. Start Right Away -- From day one of becoming a family they sit down together to eat. This means before the first child comes along, the couple eats meals together. As soon as possible baby is included at the table, even if he's not eating. My grandchildren have learned to hold hands and pray just by being included from long before they had any idea of what was being done. 2. Expect It -- Develop an attitude of this is the way it will be. Not eating together should be the exception. Expectations go a long way in developing habits, so be on the same page about them! 3. Everyone Helps -- Teaching our kids to shop, cook, and clean up are life skills entrusted to us. But getting them to help isn't just about them knowing how or me getting the table set; it's a great way to get to know each other. You know, it's easier to talk to someone about sensitive topics if you don't have to look them in the eye! 4. Keep Meals Simple -- My mother-in-law thinks every meal needs a meat, potato, vegetable, salad, bread, dessert, and coffee. Of course, those are great meals, but sometimes we have stir-fry and rice. Oh, and I let them drink water. 5. Block Interruptions -- There are BIG interruptions, like everyone having a different sport, practice, lesson, or appointment to get to. And there are little interruptions like television, phones, doorbells, and texts. The family that eats together blocks out as many of these as possible. Schedule things early enough to eat together. Power down, put away, don't answer. And, gasp, say "no" to some activities so you can say "yes!" to family dinner. 6. A Few Simple Rules -- Dinner time is not time for Mom or Dad to turn into The Enforcer, but you need some basic rules to make a meal enjoyable. How about: Don't do things that make other people uncomfortable or upset. 7. Parents Set the Example -- Mom and Dad have to obey the rules too: no answering the phone, say please and thank you, be all there. 8. Keep it Light -- Humor defuses. I can remember one of my teen's mood temperature rapidly rising as they searched frantically for their shoes. For once I didn't spike a temp, too, and philosophized, "One of the great questions of life is, 'Where do our things wander off to when we aren't looking?'" Temper successfully disabled. 9. Be Flexible -- Some days the family meal won't be on time. Some days there will be interruptions. Some days the food will burn, or still be raw. Some days you'll have to take the phone call. Some days the appointment is unavoidable. Some days you won't all be there. The family that often eats together knows this and keeps expecting family mealtimes on most days. 10. Know Every Day Won't be Like the Cleavers -- Do you even know the Cleavers? I was stunned to find out many of my kids' friends don't. I guess that dates me. The Cleavers are the family on the 50's TV program, Leave it to Beaver. 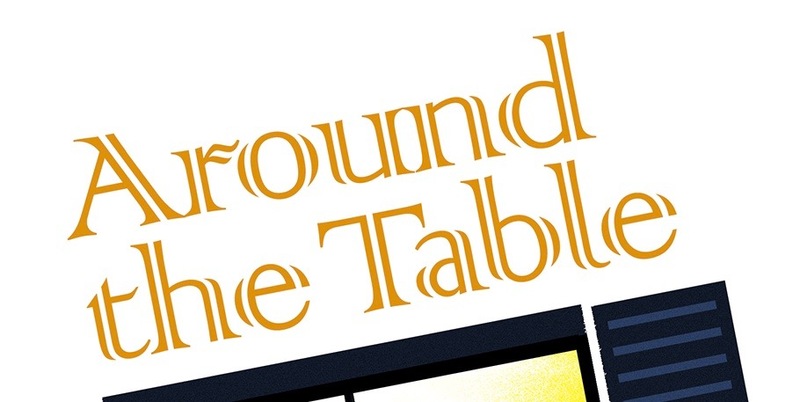 They always sat down to dinner in the dining room, with a tablecloth, dad in a tie, a delicious meal, and kind conversation where the kids respected and learned from their parents. Yup, won't happen every day in any home. Might not even happen most days. But you keep trying. Tell me, what habit helps your family sit down together for a meal? You can get a copy today for only $4.75. Check it out here. Really enjoyed reading this. I wish all families would do this. It seems like sports practices and games have consumed so much time, even the weekends. My own grandchildren included. Very good article. Great suggestions!! Start early and EXPECT to eat together. Those two go a long way to make the others happen as well!! I think for us it just became a habit. When my kids were too little to be involved in sports and school we always ate dinner together as soon as their father got home from work (or shortly after). If we're out of the house for the day I would put a meal in the crock pot to be ready when we all got home. Sure we have days where we can't all be together or times when my husband is working out of town but those are the exception to our rule.